The EU needs more unity and less controversy and is not just about what France, Germany or the UK wants, Polish State Secretary for European Affairs Mikołaj Dowgielewicz told EurActiv.fr in an interview. He discussed the plans of the Polish EU Presidency, which will begin in July 2011. Poland will take up the rotating EU presidency in July. What does it mean for you? This will be our first presidency. It is a huge project for the government of Donald Tusk. This will make Europe closer to Polish citizens. It will also help to modernise and Europeanise the administration of our country. From a political point of view, Poland is probably the most pro-European country. The presidency is an opportunity for us to show how much we are engaged in the EU. In these difficult times, we want to affirm that we need more unity and less controversy. We especially want to ensure that the European institutions are not weakened by the crisis. What will be the priorities of your presidency? We hope that we will no longer speak of austerity measures but of economic growth, hope and optimism. That is what the European economy needs. During our presidency, we would like, for example, to put in place the legislative package on the internal market, which will be presented in early 2011. We hope that the Commission will make complete proposals, which be a good basis for discussing economic growth and sources of growth. During Poland's presidency, the euro zone will still be the centre of attention. Will it not be too complicated to take the reins of the EU without being part of the euro zone? It is true that in our trio presidency [Poland, Denmark and Cyprus], only Cyprus has the euro. Of course it's a problem. But we are fully committed to doing what we can to help the euro to recover, establish the stability mechanism and modify the treaty if the decision to do so is taken in December. And we still want to join the euro zone. The negotiations for the 2014-2020 budget will begin under your presidency, following proposals by the European Commission in June. What are Poland's ambitions in this field? To be honest, we have already started talking a lot about the budget! But let's be clear – this is a prerogative of the Commission. It has the mandate to prepare the best possible proposal. We first want to discuss priorities and proposals, then figures. Unlike some, we believe it is important that we do not mix these two issues. And we must not link national budgets with the European one, they're totally different. The EU budget is like a financial instrument, it can fulfil many European objectives. There is no deficit, it does not increase public debt. It is important not to speak of the EU budget only in terms of net contributions. Otherwise, the discussions will be very bitter. What is the Polish position on the two main European policies – the Common Agricultural Policy (CAP) and cohesion policy? The CAP covers the European objectives. It does not only concern agricultural production, but also the environment, climate and landscape. There is a strong enough agreement that the CAP will remain a political community, even if some adjustments are necessary. Cohesion policy is a 'win-win' policy. Many people think that this policy is just about giving money to those who need it – but it’s also a very large investment tool! When we construct motorways in Poland, they are built by Spanish, Austrian, German, Dutch companies […] Cohesion policy brings us economic and social development. But it also brings trade to the countries that are net contributors. Is the presidency a good way to show that Poland is an important country in the EU – that it's not just about France, Germany or the UK? Europe is really much more than the United Kingdom, France or Germany. If you do not understand this, you do not understand the EU. I think people sometimes forget that at the European Council, you have 27 leaders, all equal. Ultimately, they must all agree to the decision. Editors Note: Mikołaj Dowgielewicz is Polish state secretary for European affairs and economic policy. 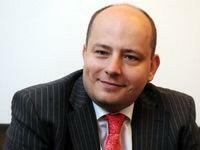 He is also plenipotentiary for Poland’s EU presidency, which will take place between July and December 2011.